Whenever there is the possibility of a medical error involving an amputation, it is important to carefully consider relevant medical considerations that may be responsible for possible disabling as well as disfiguring results. The repercussions of an unnecessary amputation can be quite severe. Therefore, it is essential to fully understand your legal rights. Once a patient who has had a limb or other body part severed arrives at the hospital, a physician in the emergency room as well as an orthopedic surgeon in most instances will typically assess the chances of reattaching the severed tissue successfully. This procedure is known as replantation. A specific tool referred to as MESS or Mangled Extremity Severity Score is a type of diagnostic that is used for accessing risk factors in terms of successfully reattaching the body part. These risk factors include circulation, body temperature, paralysis, numbness, the age of the patient, tissue health and the patient’s overall health. All of these factors are analyzed to determine a final diagnosis regarding the chances of successful reattachment. A total score is calculated; however, other factors are also taken into consideration, including whether the amputated part has lacked blood supply for in excess of six hours. In most instances, multiple surgeons will be consulted to arrive at a final determination regarding whether there is a good chance surgery will be successful in terms of reattaching the part or parts that have been amputated. Naturally, the lifestyle and the wishes of the patient are also taken into consideration; however, physicians will also consider the extent to which amputation will affect the patient’s qualify of life as well as their ability to proceed with day to day activities as a result of the amputation. Some of the most important elements which can have a crucial impact on the ability of the surgeon to save and successful reattach a severed part include initial first-aid as well as emergency and/or paramedic care. These factors also significantly impact the ability of the patient to experience feeling and regain function in the future. It is imperative to understand that muscle tissue will die rapidly. For successful reattachment to take place, tissue must be properly preserved. In many cases, the ability of the patient to have an amputated part successfully reattached can be solely dependent upon what takes place prior to the arrival of the physician. 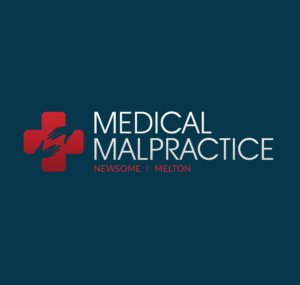 Medical negligence which occurs before the physician even takes over the patient’s case can impact the patient’s entire future.